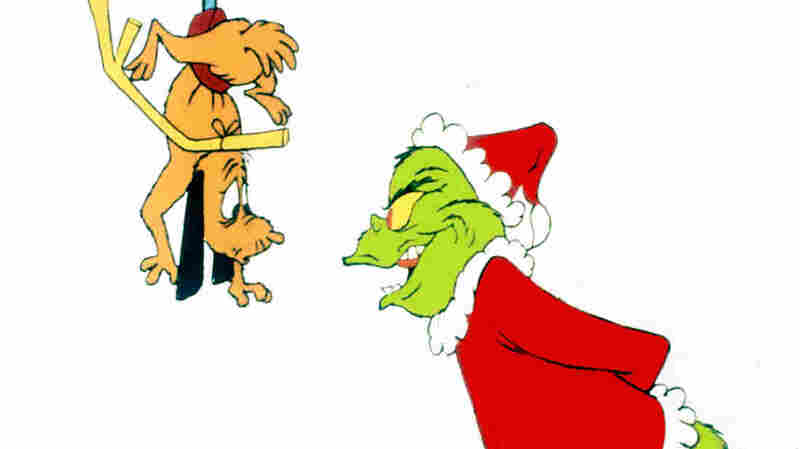 I'm Your Lawyer, Mr. Grinch Mr. Grinch presents a defamation claim to the firm of Who Who & Who. The firm attempts to evaluate the positive and negative aspects of his case. Thank you for visiting our offices to explore the possibility of a defamation claim regarding statements recently made about you. We will first take some of the statements you mention in turn to explain their possible relevance to a successful claim. Under the laws of defamation in effect in Whoville, this would most likely be considered a statement of opinion and not actionable. Also opinion. Generally under Whoville law, successful defamation claims arise from statements of fact. While these statements are unkind, and while it is probably theoretically possible to establish that you are, in fact, more cuddly than a cactus according to a physicist's or linguist's definition of cuddliness (softness, lack of thorns, etc. ), there are additional elements of cuddliness that we believe it would be difficult to convince a fact-finder were not ultimately subjective. The same is true of "charming." We believe this will be viewed as a satirical instance of hyperbole not intended to be taken as literal fact, as you do not particularly resemble a banana peel in color, size, or shape. We recognize that the comparison is hurtful. Again, we suspect a court will conclude this is hyperbole. We could employ a neurologist to establish via digital imaging that your brain contains no spiders, but we suspect it will be unhelpful. Even more so, the difficulty in asking a medical professional to evaluate a soul for the presence of foreign substances makes the likelihood of success there small. We could consult a member of the clergy, but bringing religion into civil litigation is often unwise. We are not certain why the speaker chose such a specific length for the pole, and understand your concern that there is some hidden meaning regarding what 39 and a half feet has to do with anything, but we believe a court will be unlikely to inquire and will chalk this up to whimsy. We have pondered this statement in light of the Whovillian interpretation of the doctrine of defamation per se, which holds that it can be defamatory to imply that a person has a particularly repugnant disease. The infestations to which this has most often been implied are not termites and do not affect the smile, but we would be willing to employ a pest control company to verify falsehood and can discuss this further. We're not sure what this means. See above re: brain spiders. We believe this is actually potentially defamation of your dog, Max, both because he is not a hoss and because, as we understand, he is relatively competent at running in a straight line. Does Max have any interest in joining the action as a co-plaintiff? Sounds delicious! Ha ha, just kidding. We also believe this is likely to be hyperbole. In order to demonstrate defamation, we generally have to show damage to your reputation. We expect defendants to argue that you are in effect "libel-proof," meaning that your reputation in the community of Whoville is already negative enough that it cannot be further damaged by these statements regarding unwashed socks, etc. We expect the problem here will be the evidence that you hate Christmas, while every Who in Whoville, as you know, likes Christmas a lot. The efforts you recently made to remove gifts, decorations, and other items belonging to the Whos certainly harmed your reputation, but we are aware that you later returned these items to avoid prosecution and attempted to improve your relations with the town by breaking bread with some of Whoville's most prominent citizens. (Or, as you put it, "to shut those nitwits up so I can get some peace," a description we urge you not to repeat publicly.) This entire sequence, however, happened after the statements above were made. You also may find that defendants attempt to classify you as a public figure, meaning under Whoville law that you would have to demonstrate that the statements were made maliciously in order to recover. As the only Grinch in the proximity of Whoville and presumably one that would stand out :), we believe that you might seem on first glance to be a public figure. However, the fact that you were able to disguise yourself as Santa Claus without hiding your face suggests that many in Whoville do not recognize you and did not expect your arrival. We are not confident that we can obtain a recovery in your case, but if you wish to pursue a medical malpractice claim against the doctor who implanted the brass frame that later broke in your chest due to your enlarged heart, we are willing to discuss.